Online Shabby Chic and Vintage Inspired online store Live Laugh Love release an expansive range of wonderful and affordable New Products. Gorgeous yet Affordable, Live Laugh Love's New Products are simply adorable. Live Laugh Love have recently added 50 new products to their extensive collection, all of which bring the charm, elegance and affordability that Live Laugh Love is known for. Live Laugh Love are a family run, Shabby Chic and Vintage Inspired online store who founded in 2007. They offer an extensive collection of unique home, and gift-ware at affordable prices and the team is, conscientious, efficient, and hard working. They are passionate to provide an amazing, first class service, and endeavor to give 100% customer satisfaction. In the past, their inspirations have helped them re-create all things vintage and they have been influenced by many styles including, French provincial, British retro, shabby chic and country living. In true Live Laugh Love fashion, they have chosen wisely and in turn, have enhanced an already outstanding product range. Over the past week, Live Laugh Love has added 50 New Products to their ever-growing range, all of which bring the charm, elegance and affordability that Live Laugh Love is known for. It goes without saying, that every piece is just as wonderful and charming as one would expect from this lovely store. 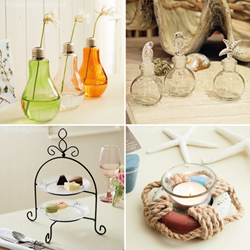 These latest additions consist of a variety of Candles, Door Stops, Trinket Box's, Kitchen Accessories, Plaques and various pieces of Home Decor, All of which have been carefully selected. The time and effort taken to source these simply wonderful products shows, as Live Laugh Love have combined out of this world Beauty with down to earth prices. When it comes to new products, the collection at Live Laugh Love has all the right goodies. Not only are they on-trend, but there are various offers that allow you to buy sets at a discounted price. This is a wonderful option as it allows customers to decorate and inspire on a wider scale, without breaking the bank.